The Christmas lights are on and Santa’s here in St Helier, so it now seems right to tell you about our range of Christmas themed goods! Firstly, we’ve still got a couple of Moo Free advent calendars left - but be quick to get them this week in time for 1st December. If we’ve sold out before you get to us, we do still have plenty of the Moo Free Organic Snowmen and Organic Santas. 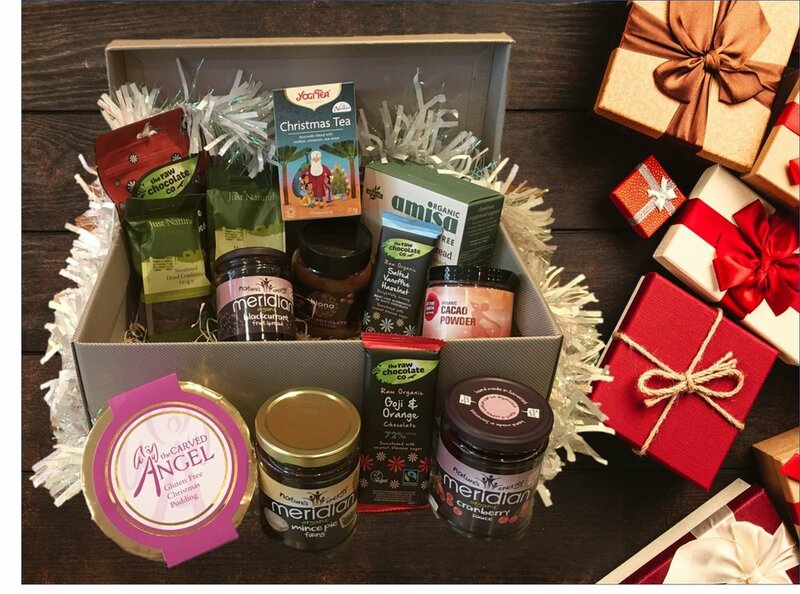 Next are our Christmas Hampers, we’ve got a selection of ready made hampers to choose from including a Christmas theme, Organic, Gluten Free and Pamper Hampers. 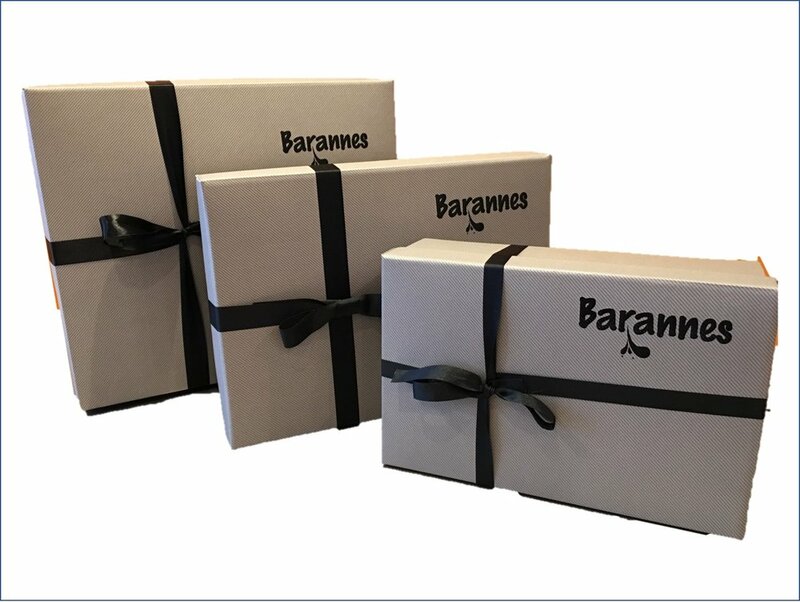 If you’d prefer to make up your own, just choose the hamper size (small, medium or large) and what you’d like to put in it and we will do the rest. Including local delivery if you wish - sorry, but we are not geared up for export orders. Our Medium Christmas Hamper is shown at the top of the page, which is priced at £69.95, including the packaging and decorative bow. The ‘Build Your Own’ start from £10.00 plus the cost of the goods. 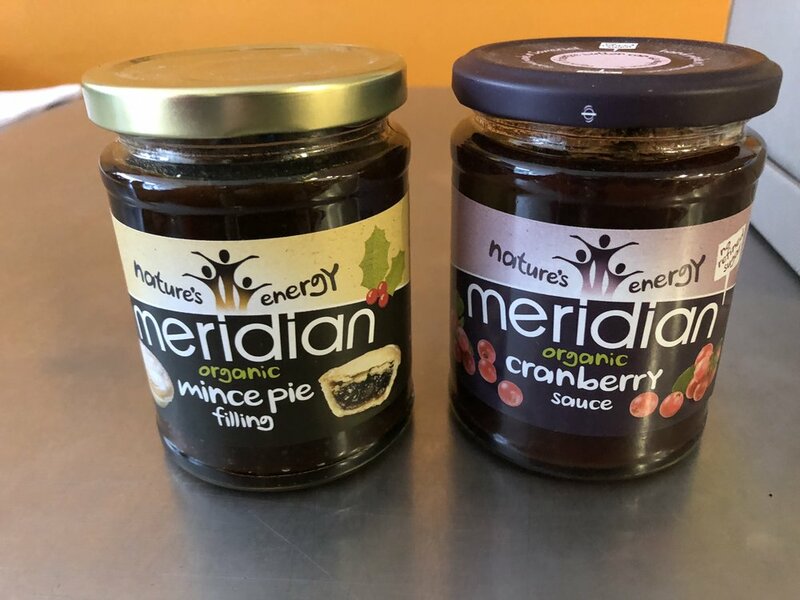 Apart from Hampers, we’ve got plenty of gluten free christmas puddings from the Carved Angel, organic mince pie filling and cranberry sauce from Meridien and of course all our normal range of Just Natural nuts and berries and organic cacao based products from The Raw Chocolate Company. Plus, don’t forget to try our Winter Warmer hot juices, maca hot chocolate or a Grumpy Mule organic coffee. We use organic Jersey Milk in all our hot drinks or can offer non-dairy alternatives including barista almond milk, rice milk, coconut milk or soya milk!